Is Six Flags A Good Investment? Pentwater Capital Management has continued to reduce its stake in Six Flags Entertainment (NYSE:SIX). Pentwater’s position was 3.6 million shares at the end of 2011 and 3.1 million at the end of March. The fund, managed by Matthew Halbower, then reported 2.9 million shares in the middle of May and the most recent SEC filing discloses that the fund owns 2.4 million shares, or 4.4% of the company (see Pentwater’s other positions). Pentwater has therefore cut its exposure to Six Flags by a third in just over six months. As it has done so, the stock has been up about 28%. Six Flags also gained about 33% since major insider purchases that took place in May 2011; the fund may be taking profits out of conservatism, or it may feel that the company is no longer a good value at this stock price. Insiders have not bought into the company since August 2011, with a number of large shareholders selling earlier this spring (see a history of insider purchases and insider sales at Six Flags). Another major hedge fund holder of SIX, Peter Hochfelder’s Brahman Capital nearly doubled its stake in the company in the third quarter of 2011 to 2.6 million shares and has held that position about constant since that time. The first quarter of the year is rarely a good one for SIX, and 2012 was not an exception. The company recorded a $115 million net loss, which was actually smaller than the $149 million it lost in the first quarter of 2011; revenue was up as well. The closest comparison to Six Flags in the public markets is Cedar Fair (NYSE:FUN), which owns a number of amusement parks with a geographic concentration in the Midwest (including the company’s flagship Cedar Point in Ohio). The two companies have similar market caps at $2.9 billion for SIX and $1.8 billion for FUN. Both pay sizable dividends to return the cash earned from their parks business to shareholders- Six Flags pays a 4.5% dividend yield and Cedar Fair pays 5.0% at the current stock prices. Due to the negative earnings the past two quarters, Six Flags trades at a trailing P/E of 272, and analyst expectations for future earnings imply a still high forward multiple of 30. Cedar Fair has been more stable recently and carries a trailing P/E of 19. A similar story plays out for the two companies’ EBITDA multiples: while FUN trades at 9.7 times trailing EBITDA, SIX trades at 11.6x. Cedar Fair appears to be a better value. Another peer is Disney (NYSE:DIS)’s Parks and Resorts division, which reported strong numbers at the close of the previous quarter. Despite weak growth in the US, Disney’s domestic parks increased their revenue by 11% compared to the same quarter in the previous year. Since this boost in the theme park business- which did show up to a similar degree in SIX’s first quarter results- does not seem to be bringing Six Flags to a reasonable multiple, current shareholders would be advised to follow Pentwater’s lead. If a high dividend yield is desired, Cedar Fair offers a higher yield at a lower valuation. Is Six Flags A Good Investment? 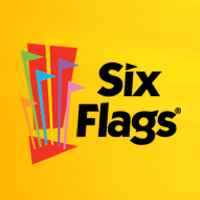 Is Six Flags A Good Stock To Buy?